The King’s Land is the title of a new film I am making – official start day was today – as well as the title of an art project (though that may change) and a housing estate in east London. Built in the period right after WW2 it was a part of that hopeful movement that believed the giving people decent homes, jobs and pride would make a better world. The estate was completed in time for Queen ElizabethII’s coronation in 1952. 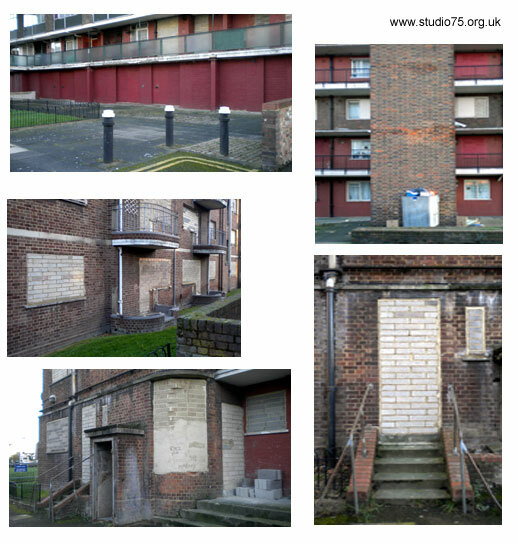 But lack of belief in those same postwar values led to a decline in the standards as the estates were not maintained by the public authority paid to do so. Now, 60 years after completion, the estate is due to come down. 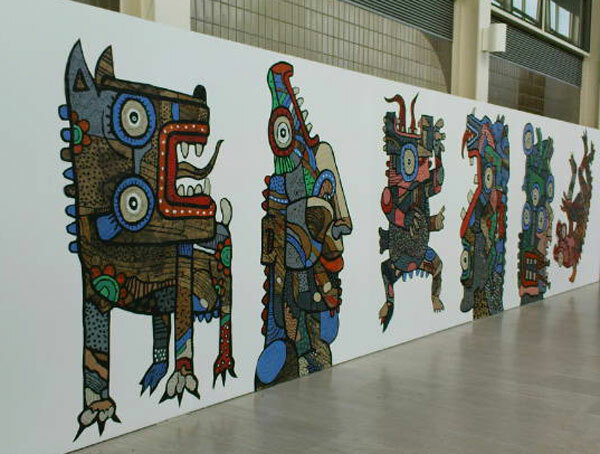 However not before the place is transformed by a giant multisite mural. The brainchild of painter and muralist Nazir Tanbouli, the project is THE KING’S LAND and over the next few months Tanbouli will cover the site with hand drawn murals. My job is to make a film of it all. Let’s see what happens.